It's the last week of March, so it's time for another Russian Recipes Revisited post. Whenever I go to visit my family in Seattle, my mom always makes blini for a late weekend breakfast. 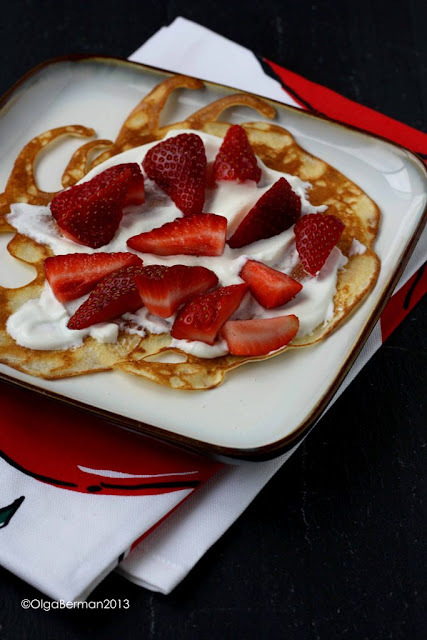 They are basically crepes that you can fill with either savory or sweet fillings. My mom is an expert at making blini and can probably make them with her eyes closed. They are incredible thin and perfectly round and take up an entire large dinner plate. 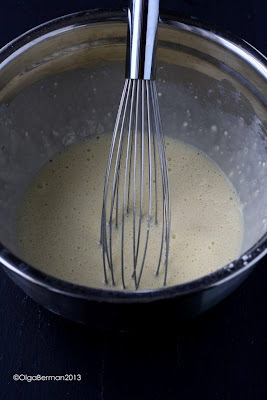 Of course my mom doesn't have an exact recipe for the batter. It's just some flour, eggs, milk, etc. Although I've eaten blini on countless occasions, I've never made them before. 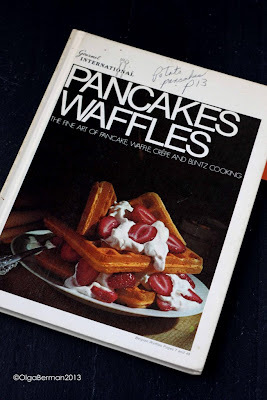 I wanted a recipe. 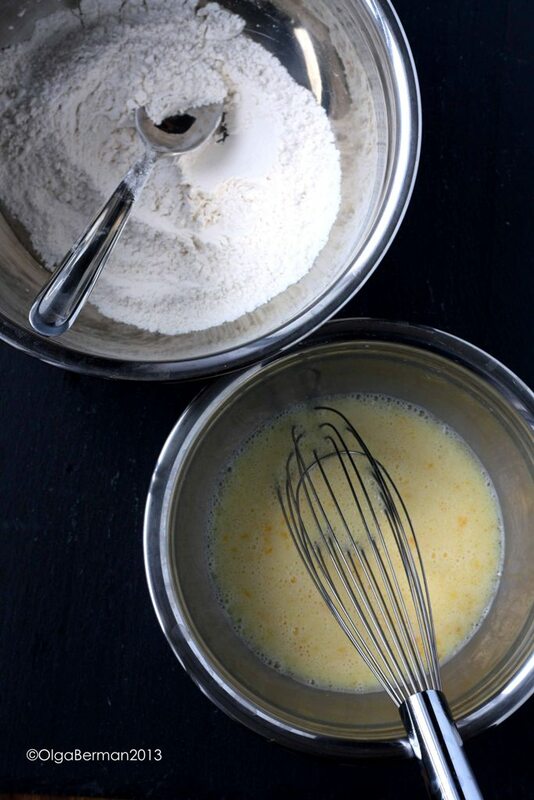 An exact recipe. Luckily, a while back I found this incredible book in my library for $0.10. 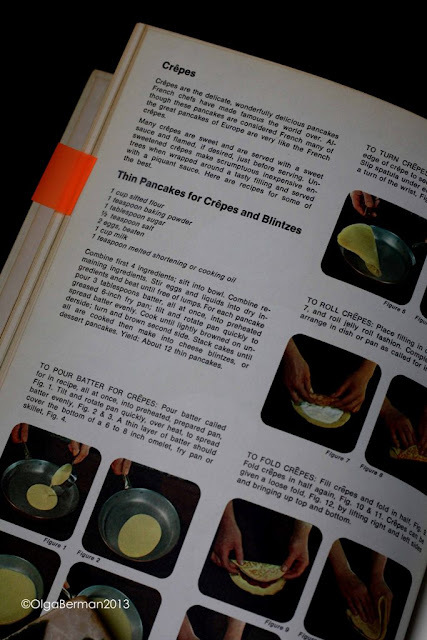 You can see the recipe for Thin Pancakes for Crepes and Blintzes in the photo below. The batter was really easy to put together. 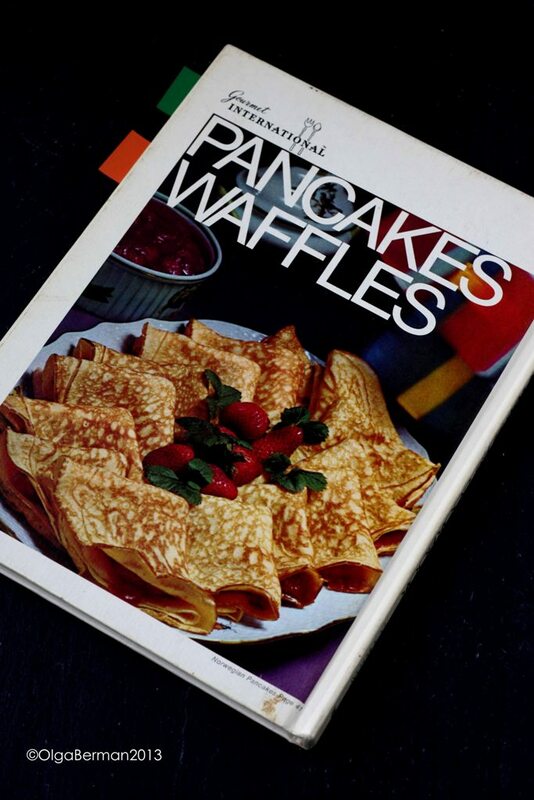 I just used 1/3 of the sugar the recipe called for since these weren't going to be dessert blini. Unlike my mom's, my blini weren't large. Nor were they perfectly round. Clearly, this takes practice! Also, I should have poured more batter into my pan. 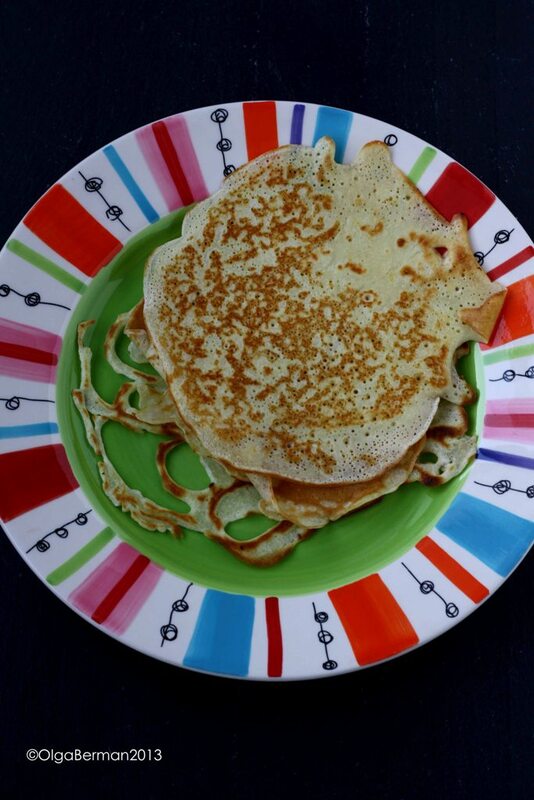 But other than the imperfect look, the blini tasted PERFECT! I especially loved the little crispy edges. 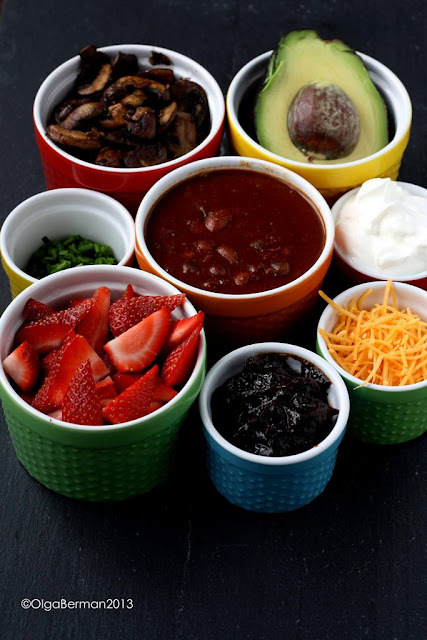 For the savory fillings I had sour cream, sauteed mushrooms, chili, avocado, cheese and chives. For the sweet fillings I had sour cream, strawberries and fig butter. 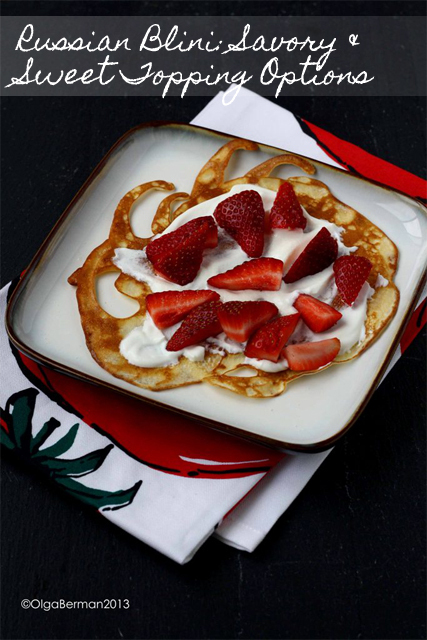 This is a fun brunch or late breakfast idea. 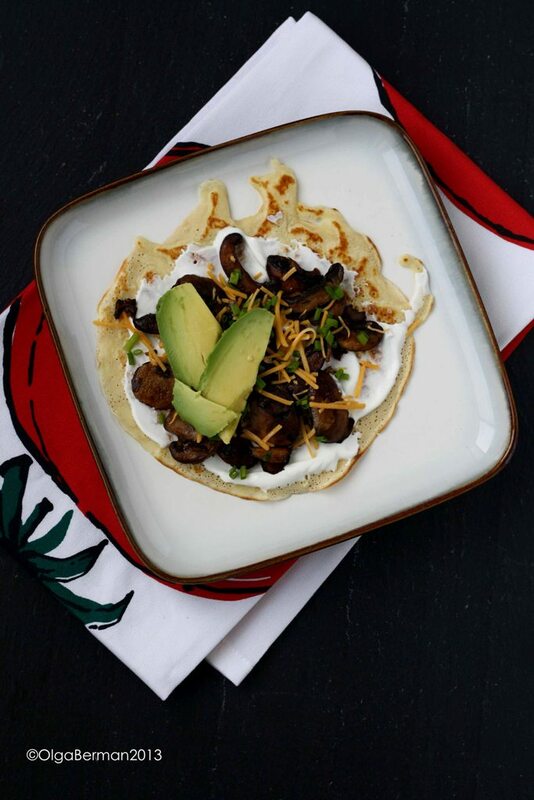 You can invite your friends to come over, make a bunch of blini and have a variety of toppings for everyone to use! I love all the filling options! These look great! I'm kind of wanting to eat that...now. I would love to see more recipes for simple zakuski. Ooh, do you have any examples you'd like to see? I've already posted about the Russian potato salad and pickled cabbage and an eggplant dip. Also, herring under the beets. 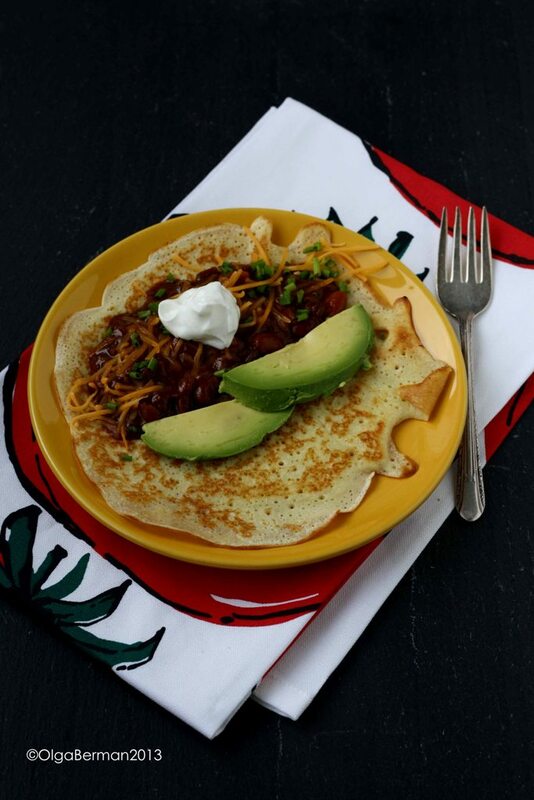 OMG Chili in blini - that's genius. My mom is an expert at these too. She can literally cook an enormous batch in like 10 min. She works two little skillets simultaneously and they turn out perfect each time.